Depending on the traffic and weather conditions, asphalt surfaces tend to only last between 8 to 12 years. The complete asphalt surface needs replacement as simple patching up the asphalt will not be a sustainable solution. So what all are included in asphalt pavement resurfacing and its maintenance? 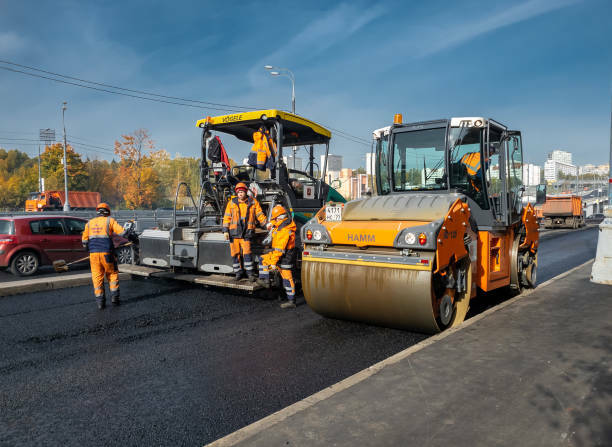 Because of its durability, cost-effectiveness, the simplicity of construction and its strength, asphalt pavement is utilized in a variety of different applications. 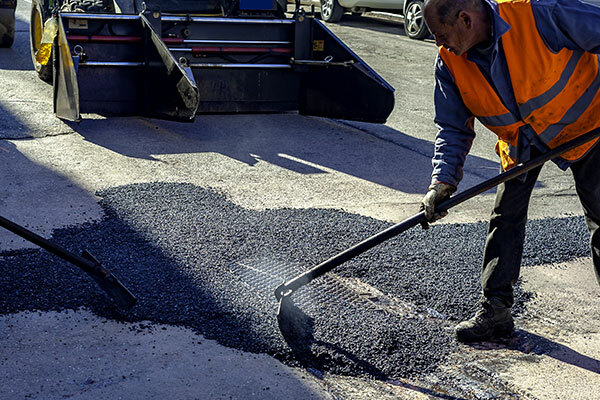 As asphalt can withstand heavier loads when combined with proper asphalt maintenance which lasts for several years, it is the material of choice for the parking lots, residential lanes, and also while resurfacing roads across the nation. There are several steps which are involved in asphalt pavement resurfacing. Every worker is carefully making sure that the road moves through each step of the process smoothly as you may not realize it while driving by a construction zone. Any utilities in the way must be lowered so that there will not be any damages when the road is removed by the milling machines before work on the roadway even begins. The road is cleared of all the debris and signs and cones which are erected to direct the traffic through a safe route. To remove the old pavements as it goes, the milling machine works its way over the road. So that they will be flush with the brand new asphalt surface which is about to be laid, the utilities are now raised back to their original heights. To the milled surface of the road, a tack coat is applied. 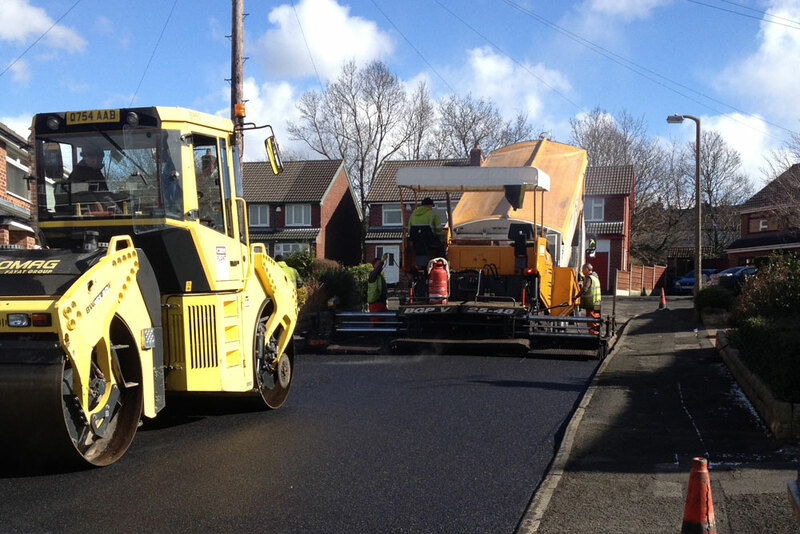 To securely fasten the new asphalt on the road this acts as a binding agent. To the surface finally, the fresh asphalt is applied. It is only the hot mix asphalt or possibly warm mix asphalt which is applied to a brand new roadway. Including the pavement striping and the reflectors, the final touches are put on the new road. From the start to finish it is much more thorough than simply filling a pothole or fixing a crack and this is the whole process. It is for another 8 to 12 years that the roadway is going to last. On the areas of the pavement with potholes, patching as asphalt paving techniques are common asphalt repair. When water seeps into the pavement through unsealed or improperly sealed cracks, the potholes occur. The water expands and enlarges the cracks upon freezing. A void is left when the ice under the pavement melts. It forms a pothole as the surrounding pavement falls into the void. The appearance of asphalt diminishes over time as asphalt pavement progresses through its performance lifecycle. Within the asphalt, fine hairline cracks spread and deepen. Water may enter through the cracks and holes might form undermining the substrate without ongoing maintenance. The most effective form of repair is to remove and replace the deteriorated area in this case. Resurfacing the asphalt pavement which is also referred to as asphalt overlay process is the long-term and cost-effective solution in the most severe cases of asphalt failure. It is a good idea to have your pavement resurfaced if you notice grade depressions through the standing water on the pavement or large sections of alligator areas which are the interconnecting cracks forming a series of block resembling an alligator’s skin. Including preparing and cleaning the area prior to performing work, leveling asphalt of low areas, grinding of all transitions, adjusting of all drainage structures and many other steps which is unique to each site are all included in the process of asphalt resurfacing. Petromat is an option which may be included with asphalt resurfacing. To retard reflective cracking between the existing pavement and the newly installed asphalt surface, petromat is a non-woven, petroleum-based geotextile fabric which is used. While adding structural support and strength, this fabric acts as a waterproofing membrane. Hot asphalt is installed at various depths to adjust pitch to proper grades while going for increasing the strength of the pavement or the parking lots in the low areas. Asphalt is removed along the perimeter to allow proper depth of asphalt on the edge in areas which requires the resurface to tie into the other existing surfaces. Asphalt will be milled and replaced to allow proper depth and transitions in areas which requires the resurface to tie into other existing surfaces. To remove an appropriate depth of pavement in a grinding process an asphalt milling machine is used. The spoils of these are then be hauled off and recycled. The aging process begins as soon as freshly laid hot asphalt pavement mix begins to cool. A chemical change takes place when oxygen in the air and water combine with the asphaltic binder of the pavement. This process is necessary for the pavement to become hard and firm at first. A complete deterioration of the asphaltic binder will take place and reduce the pavement to a layer of loose stone if this process is not arrested. Gas, oil, sun oxidation, salt, water penetration, and hot or cold weather, are all the enemies of the parking lot. How a contractor is able to prevent pavement damage? You will have to depend on the expertise of an asphalt contractor if you recognize the above signs of distressed pavement. Your contractor may be able to do a cut and patch and repair or even recommend an asphalt overlay depending on the extent of asphalt damage. A contractor will be able to remove that pavement and replace it with an asphalt patch if the damage is isolated to a specific area. Asphalt overlays are simply a new layer installed over the existing pavement as the name suggests.